We found the real Radiator Springs! Our family went on a road trip a couple years ago with primary destinations in California, Arizona, and Colorado. One of our main objectives was to experience the Grand Canyon. Little did we know that the gateway to the Grand Canyon was Radiator Springs. I do realize that Radiator Springs is just a fictional location from the Pixar movie Cars. 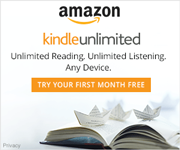 I realize that fiction is not reality. And I realize that romanticized notions do not come close to reality. At least I used to think all those things. Until we stayed the night in Williams, Arizona. We have watched Cars a few times and have even seen some of the extras a time or two. I am amazed that when the Pixar crew goes out on Route 66, they seem to travel back in time to the glory days of the towns on the mother road. When our crew went to Williams, I felt like we drove into the movie. Williams, Arizona looks like a pretty normal town in the daytime. 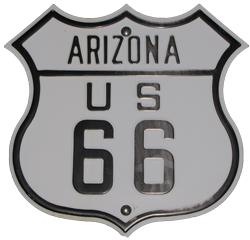 It sits on Route 66 and is the place where you get off the freeway to head to the Grand Canyon. I was amazed that it turns from a sleepy looking little town in the day to a bustling tourist attraction at night. 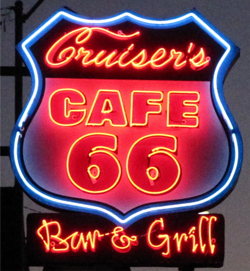 There is neon everywhere and Route 66 is used as a lure to every business. There is nostalgia promoting the romance of the old highway everywhere. All of that neon and nostalgia took my mind to Cars. The movie itself is part of the romanticizing of the mother road. It seemed that everywhere I looked there was a reference to the movie. 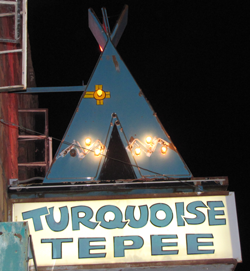 There was a shop with a tepee sign. 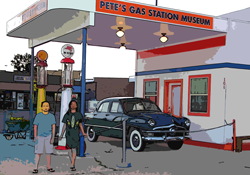 A museum that used to be an old fashioned gas station. There was even a café that could have been a drive-in back in the day. And of course, there was the mother road itself, being bypassed by the freeway. Just like in the movie. Only in real life, everybody still passed through the town because it is the gateway to the Grand Canyon. I was so taken by the similarities of the movie town and the real town that I just marveled. I took few a pictures, but mainly just drank in the experience with my family. Of course, I mentioned the similarities to them, but they just looked at me like I was crazy. Their normal reaction when I am excited about something that nobody else is. Even so, I enjoyed our walk through the real and fictional town. We had a great time in Radiator Springs, rather Williams, Arizona. We ate, took some pictures, and strolled through the town. We wandered through the shops and had a great time. Just enjoying the experience and each other. I know we did not really make any great discovery at the gateway to the Grand Canyon. But I could not help thinking that in Williams, Arizona, we found Radiator Springs.